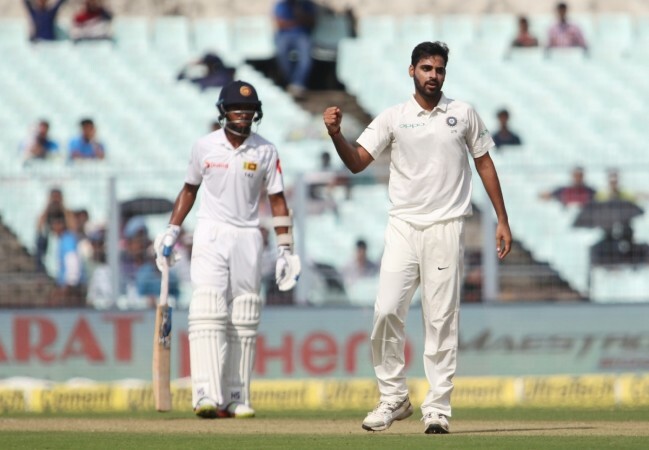 Kolkata, Nov 19: Former New Zealand pacer Simon Doull on Sunday said Bhuvneshwar Kumar will be the key when India tour South Africa adding that he is as good as any in the world at the moment. "Bhuvneshwar is as good as there is in the world at the moment. Alongwith his swing and seam bowling, he has upped his pace," Doull told reporters here. India play three Tests, six ODIs and three T20s in South Africa starting January 5. Doull said with the Kookaburra ball in South Africa, Bhuvneshwar, who banks on swing a lot, will be the key. "Kookaburra ball is vastly different to what you play, will swing a little bit but it's about getting used to it. The seam goes very soft. There Bhuvi is going to be important as line and length is important. That's his trade. He is able to ball as a stalk bowler. My preference is always picking your best bowlers. If it's spinners pick them and not a fourth seamer," the 48-year-old said. Doull, who has played 32 Tests and 42 ODIs for the Black Caps between 1992 and 2000, opined that Umesh Yadav needs to work on a few things going ahead and alongwith Mohammed Shami India have two world class seamers. "Even on good surfaces he can get wickets. Mohammed Shami is an outstanding bowler. Umesh Yadav needs to work on a couple of things. He needs to be a little bit consistent. "He has pace but modern day cricket the benchmark is 150 now not 140-145. He is very good with the old ball but when conditions don't get along he might be fighting for a spot with probably Ishant or the next seamer to come along. It could be Bumrah. "He might play a Test. India has got two world class seamers in Bhuvneshwar Kumar and Mohammed Shami," Doull said.